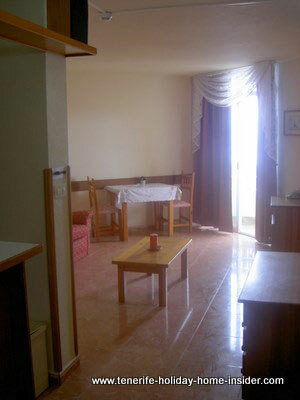 Excellent apartment resort property Tenerife investment. 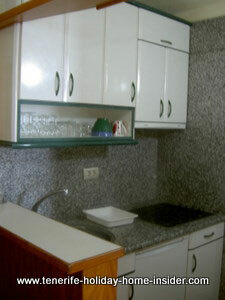 This resort property Tenerife by Puerto de la Cruz in Los Realejos has many qualities. Depicted beside is the communal swimming pool. 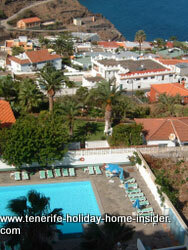 It is one of splendid views from this resort property Tenerife balcony. The nearby nature reserve San Pedro may be reached just behind the houses shown in the photo. They belong to Romantica 1. The island's most romantic coastal walking and hiking path Rambla de Castro also leads from there. Such prime apartment neighbourhood justifies an excellent holiday resort, indeed. 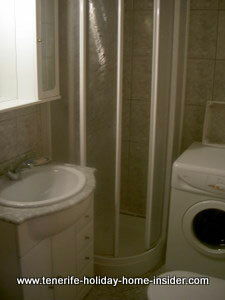 The rental fee of this property is euro;485/monthly at the 12 month rental tariff. This is all inclusive with electricity, water, trash and all community charges. The fianza, i.e. 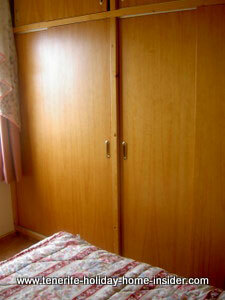 deposit fort the above resort property equals to an amount of 1 month rental. A reservation fee also amounts to €455. 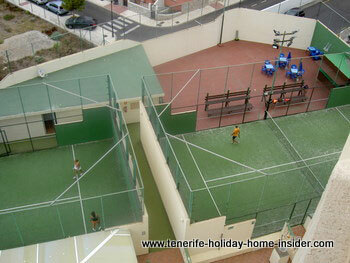 The sales price of this resort property Tenerife is €70000. restaurants, freeways, mountains and beaches. 24 hour/ 7 days security and supervision. community pool, gardens and more. Resort property courts for sports. The built-in resort property kitchen is semi separate. You don't see it from the sofa in the lounge. 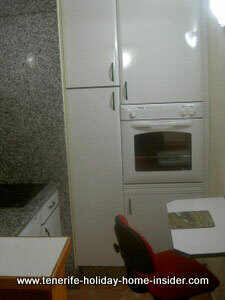 It is also fully equipped with china, pots and pans, cuttlery and all basics which one needs in a holiday home in Tenerife. Household tools for cleaning, ironing etc. are also there. 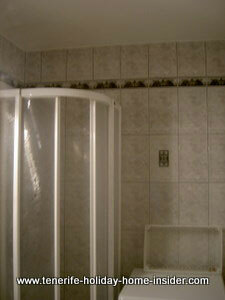 The apartment has a bathroom with fully enclosed sliding door shower cubicle. New tiles reach right up to the ceiling. There is a fully automated washing machine in this resort property bathroom. A coin operated laundry dryer is by the change rooms in the swimming pool area. TFN north airport: 25 km appr. Beach Playa El Socorry Realejos: 5-10 minutes. 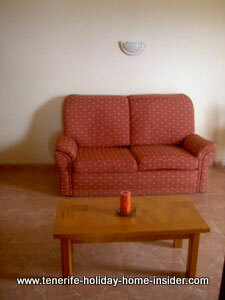 Find another discounted resort property on sale by the same owner which is also a North Tenerife studio for rent. It is on the third floor of the building and sells for €60000. From resort property Tenerife back to apartments Tenerife to more long term rental objects, some of which are for Tenerife holiday rental.